Buying a new machine is not always the best solution. Instead, consider updating your existing equipment to the latest specifications. We offer a range of upgrade and expansion packages for Projectile Weaving Machines, naturally, all tailored to your specific needs. Proven, reliable and affordable, they represent an investment in your future. Electronic let-off motions keep the warp tension at a constant level from full to empty beam; undesirable tension peaks are leveled out. 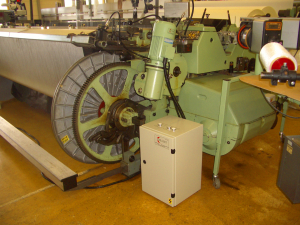 The warp let-off requires no maintenance, facilitates operation and has a positive influence on fabric quality. Today we can provide a conversion set not only for single warp beam but also for half width warp beams. The half width warp beams execution are equipped with a differential gear to drive the second warp beam. 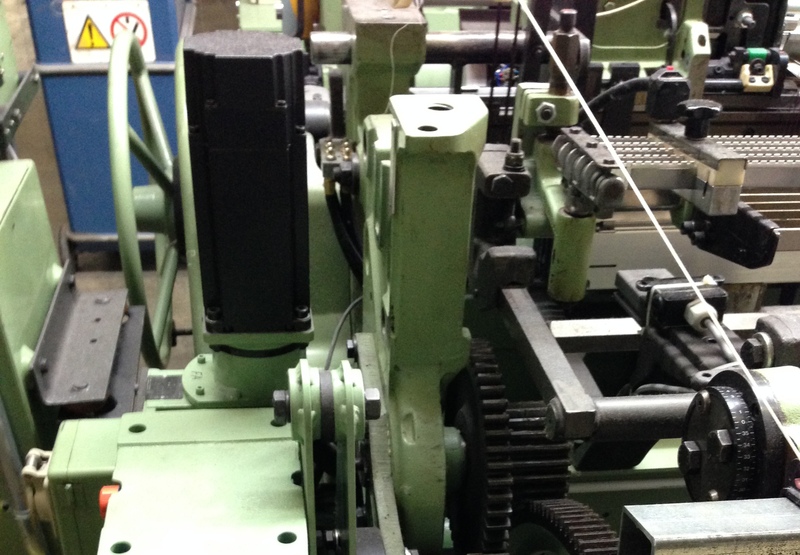 With our conversion set we can replace the mechanical differential by a second warp let-off. The speeds of both warp beams are controlled individually in accordance with the left and right control signals, respectively. 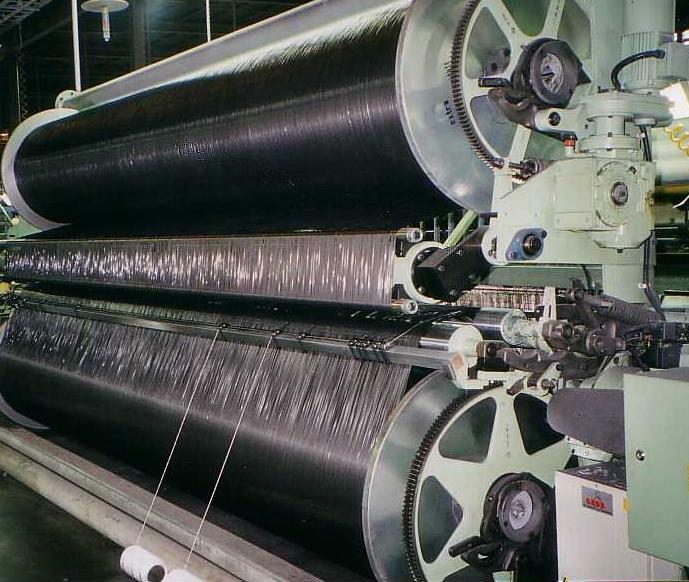 The warp tension is measured by an absolute sensor independently of the backrest roller. Electronic cloth take-up synchronous with the electronic let-off motion has a positive influence on fabric quality. Different weft densities can be programmed depending on the pattern. The electronic cloth take-up needs no change wheels and the related workload is saved. 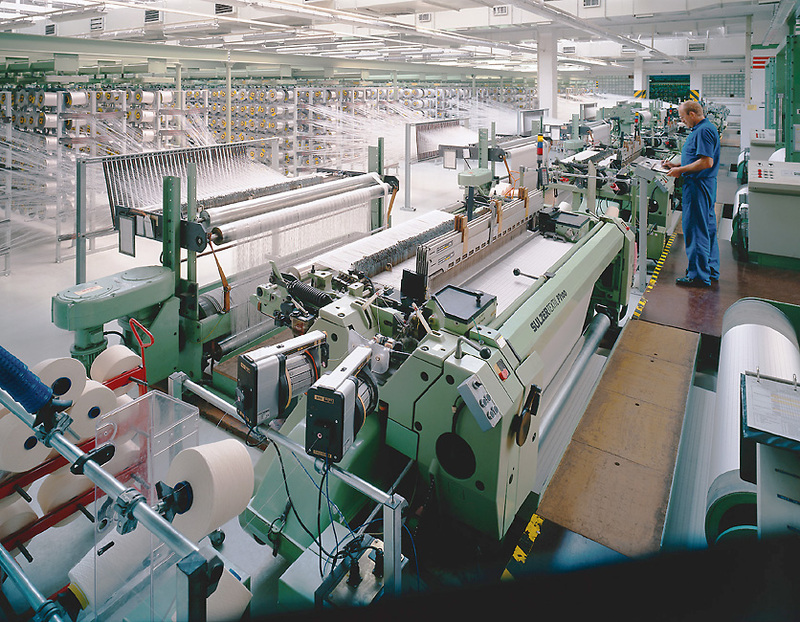 We offer special solutions for very heavy fabrics. Warp beams in high position are designed for warp beams up to 1,016mm in diameter. Different executions are available for single and half-warp beams, as well as for very light to extremely heavy fabrics. 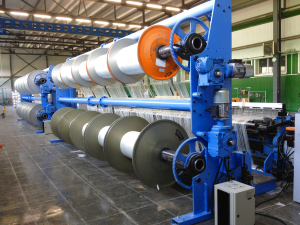 In the case of fabrics that are woven in large quantities over a lengthy period and where traditional size warp beams are quickly woven out, warp beam stands can make the weaving process more efficient and economical. The warp feeding device works as a warp tension regulator between creels and weaving machines. It pulls the yarn from the creel normally with a lower tension than used for weaving.